The Brown is Beautiful campaign aims to make-visible the many facets and types of “beauties” that are present within Filipina-Canadians as defined and brought to life by a diverse group of Filipina-Canadians v.s. continuing to allow stereotypes/lenses/views of how society, Philippine/Canadian culture- whoever else, to tell us how to be beautiful. The series will culminate with the Brown is Beautiful campaign kick-off festival which hopes to use multi-media artwork (i.e. spoken word, poem, painting, play, story, life-experience to share) from Filipina-Canadians who will express the topics discussed in the series. 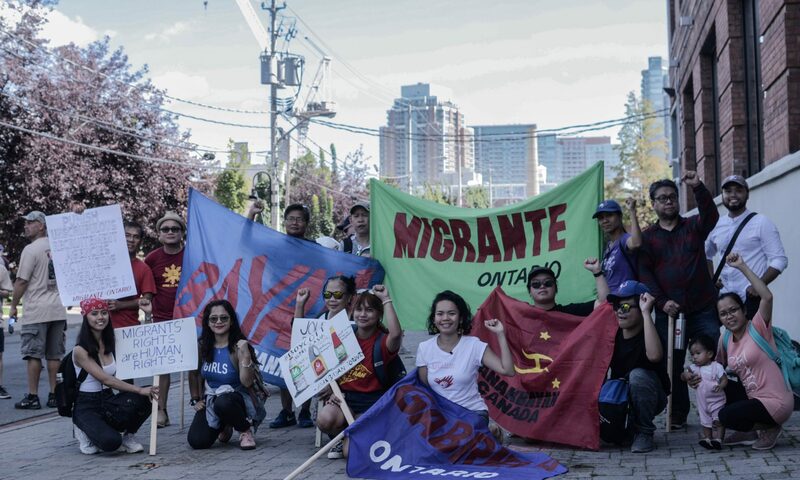 The campaign aims to uplift and affirm the multi-faceted stories and faces of Filipina-Canadians in order to show, and reclaim how brown is beautiful! 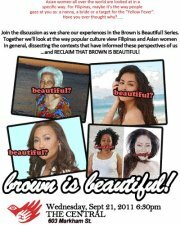 Join the discussion as we share our experiences in the first part of the Brown is Beautiful! Series. Together we’ll look at the way popular culture view Filipinas and Asian women in general, dissecting the contexts that have informed these perspectives of us!